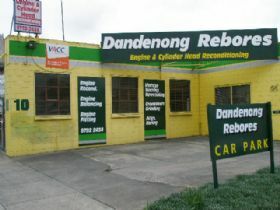 Dandenong Rebores Pty Ltd specialises in engine reconditioning and has been trading in the same location for the last forty five years. 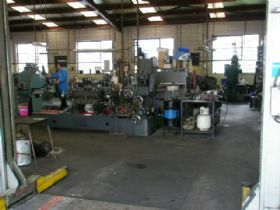 There is an enormous wealth of experience among the ten staff who work from a large, well equipped workshop that deals with public and trade customers. 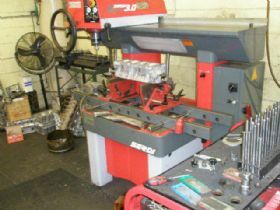 The services provided cover full engine rebuilds, crankshaft and camshaft grinding and cylinder head reconditioning. 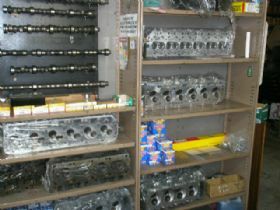 New engine parts are sold and there is a small range of exchange cylinder heads. 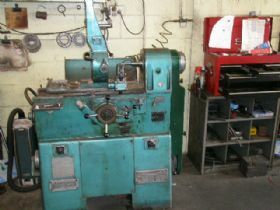 The company provides a personalised service that reconditions your own engine from start to finish on site and includes older style vehicles, engine bearing remetaling and line boring. Customers can drive in and take advantage of the close proximity of the railway station or if they live or work locally they can be dropped back at their residence or work place. The staff will take the engine out of their car and all customer cars are kept inside under lock and key whilst the engine reconditioning takes place. 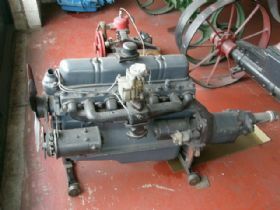 Once the engine is completed, it is refitted in the vehicle and picked up by the customer. Depending upon the vehicle, this process normally takes a week. Attention to detail and pride of workmanship is evident in the exhaustive process each engine goes through in the workshop. 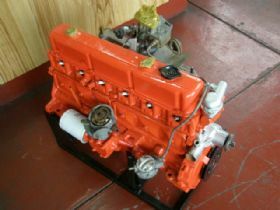 The first step is to check if the engine is able to be reconditioned and then the engine is dismantled and all parts are chemically cleaned including the block, heads and crank. 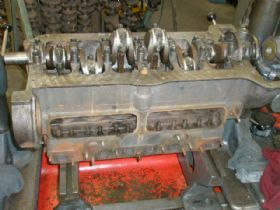 After cleaning, the crankshaft is crack tested and all vintage engine blocks are crack tested as well. The block is then rebored and decked. For those customers concerned about maintaining the original numbers on the block you can check with the staff if this is possible. 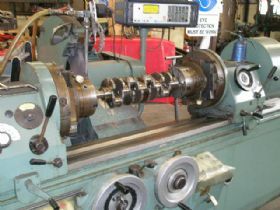 The crankshaft is subject to a grind and the conrods are resized. If the engine has bush type rods the gudgeon pin bushes are replaced. 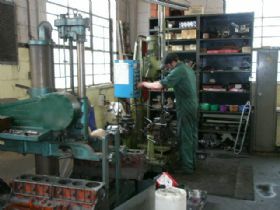 The rods are then checked for alignment and the pistons are assembled onto the rods. Once this is completed the cam bearings are fitted to the block. Moving to the top half of the engine the heads come next, which are crack tested if they are iron or pressure tested in the case of aluminium. New valve guides and valve seats are fitted and the valves are synchro seated. 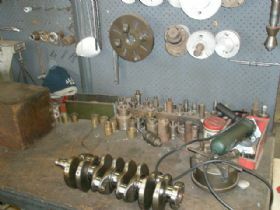 The head base is then machined, the valve springs are tested and the heads are assembled. The engine is then fully assembled and painted. Dandenong Rebores Pty Ltd warrants all its work and offers a twelve month, twenty thousand kilometres warranty on standard engine rebuilds and a six month, ten thousand kilometre warranty for commercial applications. There is a full time pickup and delivery service for trade customers and the premises offers off street parking for customers to come in and discuss their requirements with the friendly staff. If the engine in your car is tired and needing a makeover you can give Don or Tony a call or drop by the workshop to understand how they can assist in putting new life back into your car.